Greater Canandaigua Civic Center is pleased to host the 2nd annual ‘Holiday 3-v-3 Challenge’ hockey tournament. 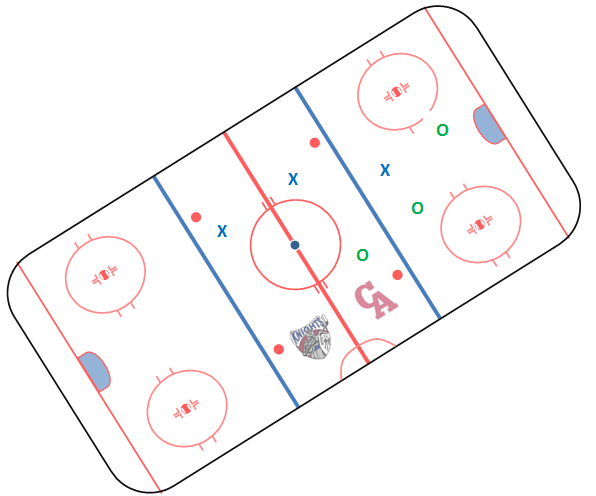 This is a fast-paced, full ice, pond hockey style type of play that players and spectators enjoy. Our players and families had a great time competing for the title last year. The 3-v-3 tournament will be held at the GCCC ‘Rink’ the holiday week before the New Year (Monday, Dec. 26, 2016 to Thursday, Dec. 30, 2016). Games will be scheduled between the hours of 2:00 pm & 6:00 pm. Note: The exact format, team placement, and schedule for the week will be determined based upon participation and teams within a division. You can expect that your team will meet two days during the week to compete for challenge title. Again, the schedule cannot be determined until teams are formed and this will happen by December 23rd. Each team will be guaranteed 5 games (20 minute games) and the winning team will receive a championship prize. The plan is to have four divisions at different age levels and we are targeting at least four teams per division. The divisions by birth year will promote a more equal and balanced level of play within a division without having to place individual players on teams. This year we are offering a Girls Only Division for ages 13-16. Our goal is to have individuals register within an age division. Balanced teams will be created based upon current season team level and coach recommendation. Some requests will be considered, but not guaranteed. The minimum number of players per team will be 6 skaters and 1 goalie (7 participants). We will try to keep team size small, but larger teams than six may be required if we do not have enough players to create an additional team. Register on-line at www.gccc.org Register on-line. Scroll to Holiday 3-v-3 Challenge and select Register All Ages or Girls Only and continue with registration process.